Here's how to enroll at MSM if you're a one- or two-semester exchange student from a MSM partner institution. After you’ve confirmed on your Application Status Page that you’ll be attending MSM, please follow the steps below to complete your Enrollment process. Please use this checklist of what action you’ll need to take, by which date. 1. Deadline to submit your financial aid award notification, where applicable. You will have received this by email, with instructions of where to submit it. 2. This is the last day to confirm you’ll be attending. Then, come back to visit this Accepted Students section to find the rest of the information you’ll need to enroll. 1. Fall/Spring Housing Prepayment is due. Please visit the Accepted Students Housing Page in this Accepted Students section of the website. 1. Complete and Submit your DS-2019 Application by this date. Please contact Michael Lockhart, Director of International Student Services (mlockhart@msmnyc.edu) to receive this form. Please pay your tuition by this date, or sign up for a payment plan. You will receive an email from Student Accounts in June, with instructions of how to download your invoice and make your payment. Ask your former school to send us your transcripts and proof of degree or diploma. You’ll find a link to the form here in mid-April. Have your doctor fill it out and send it to: Admissions Office, Manhattan School of Music, 130 Claremont Avenue, NY NY 10027. 1. There are a series of forms we need you to fill out and submit by August 15. 2. Deadline to sign up for Orientation week events you’re interested in. To learn what they are, we’ll have an app for your smart phone that will detail Orientation week events, or you can visit our Orientation page in this Accepted Students section of the website. You’ll find info about the app there early July. Arrive for check-in and begin Orientation. Follow the MSM social media accounts if you haven’t already! This is the last day to confirm you’ll be attending. 2. Fall/Spring Housing Prepayment is due. Please visit the Accepted Students Housing Page in this Accepted Students section of the website. Complete and Submit your DS-2019 Application by this date. Please contact Michael Lockhart, Director of International Student Services (mlockhart@msmnyc.edu) to receive this form. 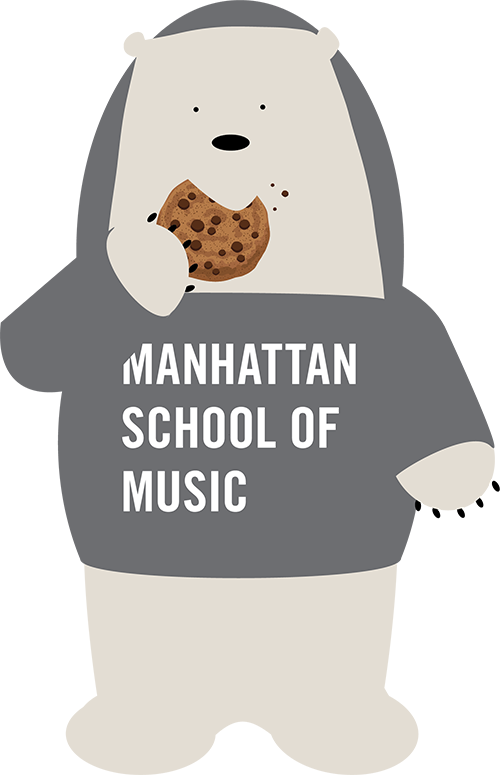 If you’re a student attending Manhattan School of Music as an exchange student, and are visiting from another institution, please contact Michael Lockhart, Director of International Student Services at mlockhart@msmnyc.edu for instruction on how to apply for the student visa. You do not need to fill out or submit the SEVIS I-20 application. Learn more about Housing & Residence Life for Accepted Students here. Invoices for the Fall 2019 semester will be available online at the MSM Student Portal by early-mid June. You will be receiving a MSM user name and password to access the MSM Student Portal. Invoices for the Spring 2020 semester will be available in November 2019. Please note that all charges are quoted for one semester only. The School accepts payment in multiple forms, as described in full on the Student Accounts webpage. Visit the Orientation Week page to learn about this event taking place from August 26 to September 2, 2019. In early July, we’ll be sharing information about the App you can download with full orientation calendar of events. Your deadline to sign up for the events is August 15, 2019. You’ll receive detailed information about placement exams in the welcome packet you’ll receive during Orientation. In the meantime, you can read more about these exams here.